As a young woman, Haney earned an M.A. in Public Law and Government from Columbia University and worked for several years for the U.S. Mission to the United Nations. Following her marriage to Foreign Service officer Robert Haney in 1954, she began her adventurous life as a “Foreign Service wife.” The Haney family lived in France, Yugoslavia, Vietnam, Poland, India, and beyond between 1955 and 1977. Along with the normal demands of motherhood and supporting her husband in his career as a diplomat, Haney found ways to learn from and contribute to the communities in which she lived. In Warsaw, for instance, she wrote a weekly report for the diplomatic community on theatrical performances, concerts, and other cultural events in the area. The finding aid for Mary Haney’s papers includes a beautiful biography written by Haney herself that you should definitely check out. Here, I would like to share just some of the fascinating materials that can be found in her papers. This logo, depicting a dove and symbols for woman and equality, was used for the United Nations Decade for Women events. A large portion of Haney’s collection relates to the United Nations World Conferences on Women between 1975 and 1985, what they labeled the Decade for Women. During this time, the United Nations focused on policies and issues impacting women and held three conferences to raise consciousness and foster unity. Haney participated in International Women’s Year in 1975 through events in India. She attended the UN conferences in Copenhagen (1980), Nairobi (1985), and Beijing (1995) as a representative of nongovernmental organizations (NGOs) working alongside the UN on domestic and international women’s issues. Haney’s collections of reports and news clippings show the preparations, outcomes, and responses to the work done at these conferences as well as smaller regional meetings. 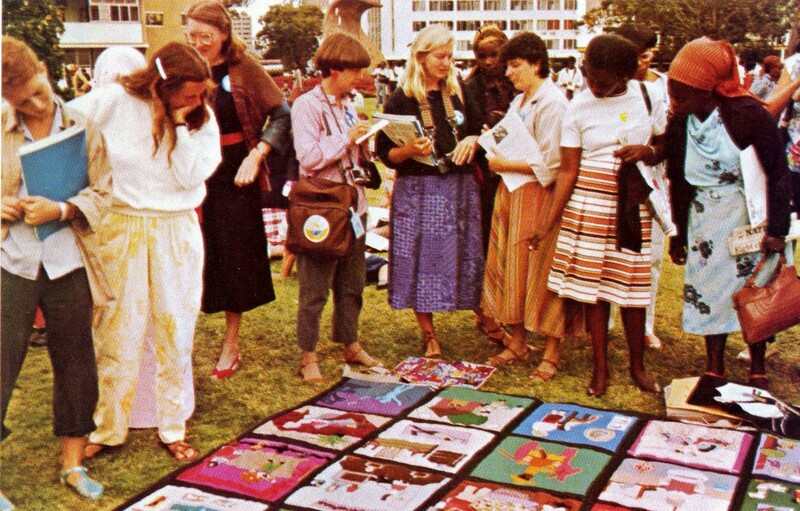 Women admire and discuss a peace quilt at the United Nations Conference on Women in Nairobi in 1985. Photo published in Response, 1985. The diversity of discussion topics and women who attended the NGO Forum of the Copenhagen conference of 1980 are beautifully illustrated in The Exchange Report printed in 1981. 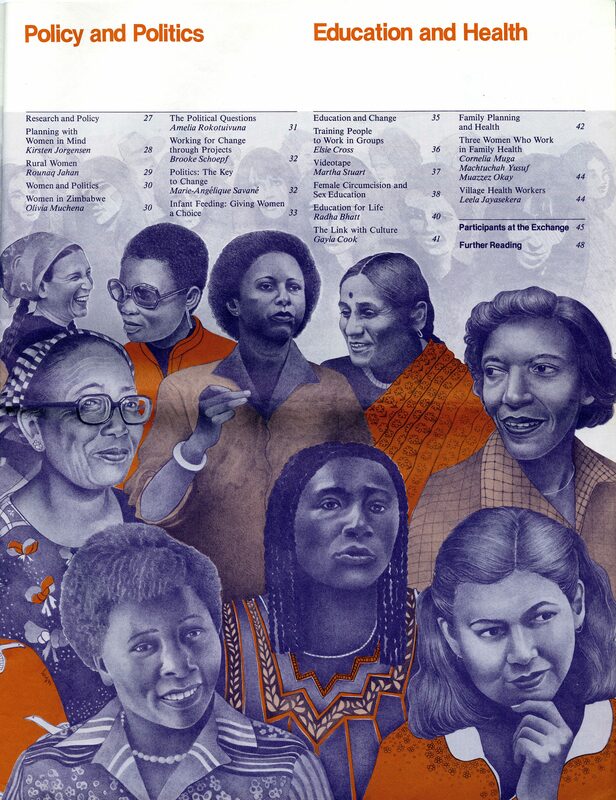 One interesting publication, The Exchange Report, documents the sharing of ideas that took place at a series of meetings in the NGO section of the World Conference in Copenhagen, Denmark in 1980, midway through the Decade for Women. The report contains interviews and portions of conversations about the issues facing women in developing countries. It is amazing to read the experiences and ideas of these women in their own words and imagine how inspiring it would have felt to attend this event. 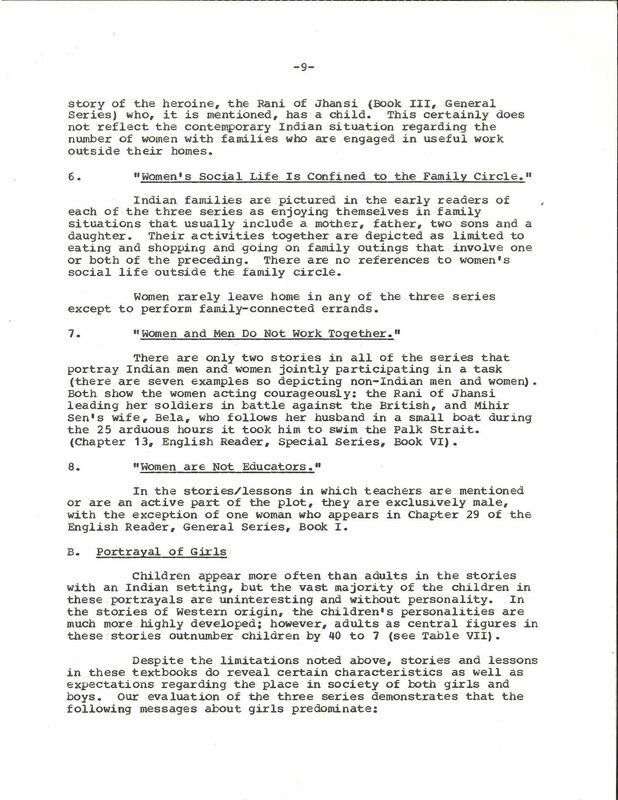 Haney’s report on sexism in India’s textbooks described the patterns in how women and girls were portrayed in stories, particularly in relation to men and boys. 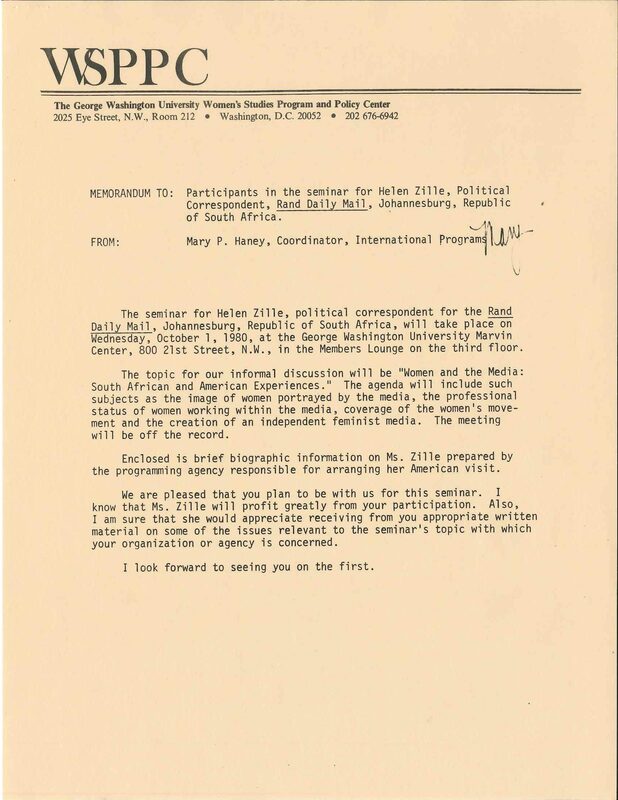 A memo sent by Mary Haney invited participants to a 1980 seminar with Helen Zille, a political correspondent from South Africa. After returning to the US in 1977, Haney became the coordinator of international programs at George Washington University’s Women’s Studies Program and Policy Center. She designed a seminar program that brought scholars and professors visiting from around the world together with women in the United States to discuss their mutual concerns. “I designed the seminars around the area of interest and expertise of the international visitor and we covered everything from women in the criminal justice system to violence against women and women’s use of natural resources,” Haney wrote in a letter to the WLA. The archival collection contains folders documenting visitors from every corner of the world. Each part of the collection shows how Mary Haney used her life experience, creativity, and passion for service to contribute to women’s movements and encourage international communication. Like the other collections at the WLA, this one has many more stories to tell! 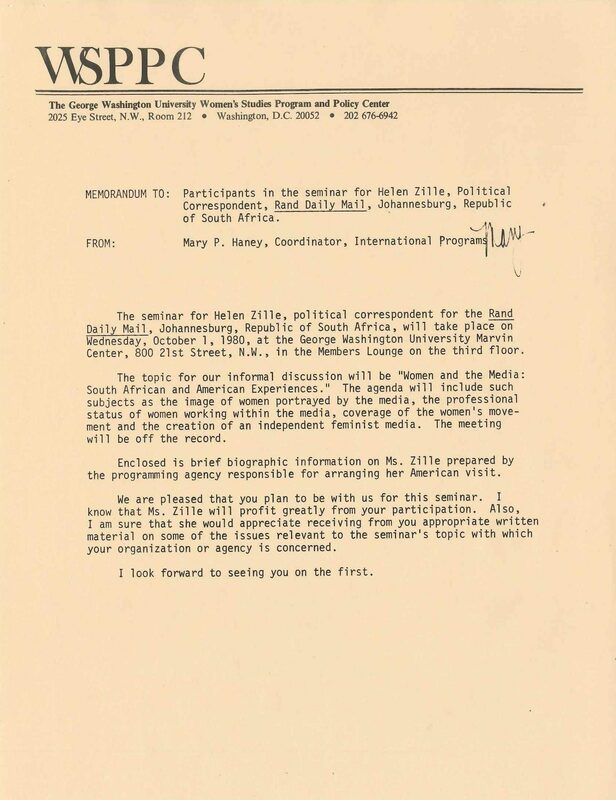 Check out the finding aid for the Mary P. Haney collection and explore the records yourself at the Women and Leadership Archives! 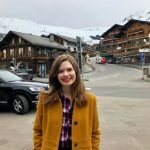 Caroline Lynd Giannakopoulos is a Project Archivist at the WLA and a graduate of the Public History Masters Program at Loyola University of Chicago. She recently finished processing the Mundelein College Records. This entry was posted in Collections Highlights and tagged Archives, Decade for Women, Education, Homemakers, India, International Womens Year, mary haney, NGO, United Nations, women"s studies, Women's History, women's ordination, Womens Movement by Women and Leadership Archives. Bookmark the permalink.